K Raheja Corporation-promoted hospitality chain Chalet Hotels is raising money at a time when the cycle of low pricing, led by higher supply amid muted demand, is turning. 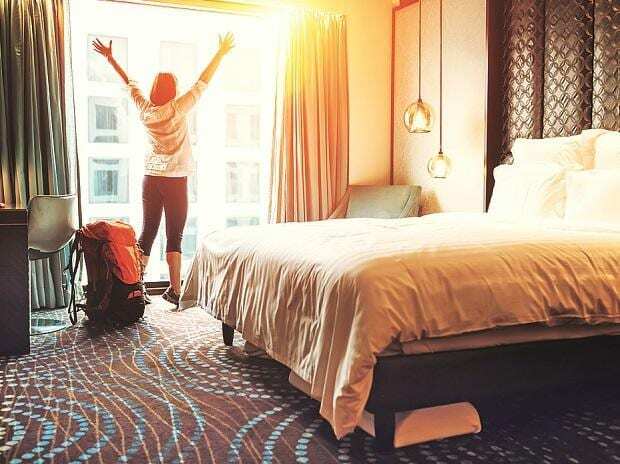 The company, which has a portfolio of premium branded hotels operated by global hospitality brands such as JW Marriott Hotel, is looking to cash in on higher occupancy rates for the sector. The sector, which had witnessed an 8 per cent decline in revenue per available room over the FY08-15 period on higher supply, is expected to see higher occupancies, a rise in room rates as well as margins. Rating agency ICRA, in a report, indicated that while demand had ramped up, supply addition had slowed down considerably leading to strong recovery in occupancies in almost all key markets in the country. Return of pricing power across key markets is expected to be more evident from the next up-cycle from the start of 2019, observed analysts at the rating agency. What distinguishes the company from its peers is its strong operational performance. Chalet's total income increased by 25 per cent annually over the FY16-18 period. A 22 per cent annual rise in hospitality revenue pushed up the company's top line. The company earned around 92 per cent of income from hospitality in FY18. In addition to the revenue growth led by favourable locations, strong brand name and pricing, the company has also been keeping its costs both at construction as well operational levels low. It is not surprising that Chalet's has the highest operating profit margins among its peers at 38 per cent in the last financial year. However, given ongoing expansion, exchange fluctuation, and higher interest costs, net profit has been inconsistent across the last three financial years, with losses in FY16 and profits in FY17, which continued though much lower in FY18. Even for the first half of FY19, Chalet reported losses of Rs 43.7 crore, due to a notional foreign exchange loss as the company also has an exposure to foreign currency borrowings (20 per cent of total borrowings). The management indicated the notional loss would get recovered in subsequent quarters. Going forward, the expected upswing in room rates and room occupancy, and lower debt after IPO should help the company. 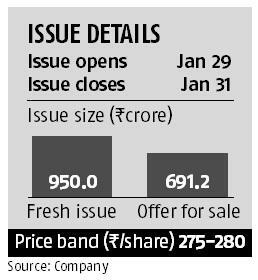 The company seeks to use Rs 720 crore of the IPO proceeds to reduce its debt pile of Rs 2,348 crore. This would improve net debt to Ebitda ratio by over 200 basis points from FY18 level after the IPO. Moreover, the company intends to partially repay foreign currency loans, mitigating foreign exchange risk. Also, new projects, which are under pipeline, would majorly be financed through internal accruals. Though the company has a geographic revenue concentration risk (two-third of its supply in Mumbai), completion of the new projects, could help offset some of this risk. Chalet plans to expand its operations beyond Mumbai, Bangalore and Hyderabad and the management experience in the sector is a plus, say analysts. Also, on-going Kormangala litigation is unlikely to have significant cash impact as the company has provided for the same. 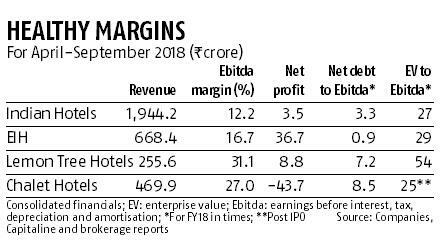 Chalet's valuation (enterprise value to EBITDA), on the post-IPO basis, is around 25 times, which is close to those of some major listed players such as Indian Hotels Company and EIH Hotels. Analysts believe the valuation looks reasonable. "Given the attractive EBITDA margin and expected growth potential due to tie up with strong brands and support from experienced promoters, valuation seems reasonable," says an analyst at a domestic brokerage.